Please be aware that I do not use trainee instructors and you will only ever learn on a one to one basis with myself or another highly qualified instructor that I may recommend if I have a full diary. Please be aware of some driving schools that are using part qualified and inexperienced trainee instructors as you may not be told your instructor is only a trainee. Over the last few years I have enjoyed a pass rate of around 70% which puts me in the top 6% of all instructors nationally. The current national average pass rate for learner drivers at all attempts is around 44%,with the first time pass rate being even lower. There is a big differance in pass rates between top instructors and lower grade instructors that often offer cheaper lessons. 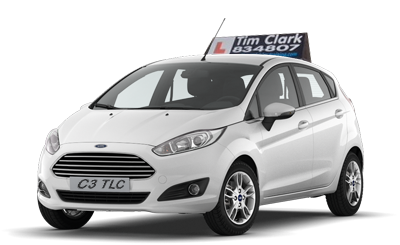 All lessons are tailored to your needs and I follow the official DSA teaching syllabus for learner drivers. So whether you are a complete novice, have just failed a test elsewhere or need a refresher course then your needs will be catered for. My reputation has been built on hard work, professionalism and a constant desire to develop myself and my pupils and to teach them a skill for life. Learning to drive is expensive and is a skill for life, make the right choice at the start and enjoy learning the skills to get you on the road to success. A lot of my work comes from pupils that have had problems learning elsewhere or who have taken multiple driving tests elsewhere and been unable to pass the test. Whatever your requirements are from a totally new learner with no experience to a trained driver who has struggled elsewhere to pass. I can help you all on the road to success. Use the contact form to contact me or text the word LEARN to 07754520740 and I will contact you ASAP. Years Experience teaching drivers throughout Barrow and the Furness area. Collingwood Learner Driver Insurance, click on the banner above for more information. You can practice multiple choice and hazard perception tests by clicking on the banner above. I offer specialist re training and confidence building for those that have tried to learn elsewhere or failed their test elsewhere.